If Twitter is broken and you want to contact Twitter here is how to get help. Visit http://twitter.com/help/escalate and fill out the simple form to get help with Twitter. 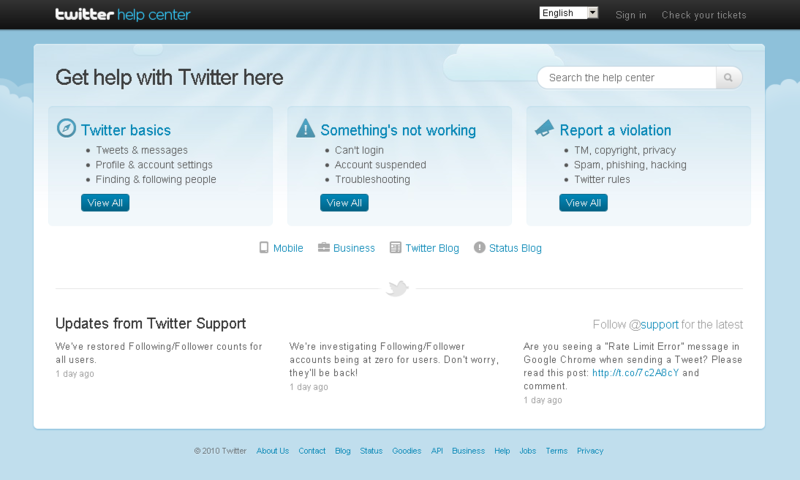 It is probably a good idea to first review the Twitter Help Center and search for your issue. I found my issue ( no emails being sent for DM’s and new followers ) and was able to include that as a reference in my form submission. They seem like a pretty friendly group and quite helpful. I hope your Twitter issues are solved quick as a tweet. Previous post: When is the Best Time to Tweet?